July 28, 2017 by Melinda Viergever Inman, 2 Comments, in #NoLongerAlone, A Novel Journey, God's Calling, God's Love, Spiritual Growth, Transformation, Why write? I grew up in Oklahoma where native tribes had been herded and corralled by the US government. I am Cherokee, and also Black Dutch, English, and Scots-Irish. I carry in my body the pedigree of nations. It’s woven into my DNA, and it’s why I’m a fiction writer today. The stories of my heritage captivated my imagination. Before I could even write, I illustrated the tales of my Cherokee ancestors as told to me by my great-grandmother. I drew the story of my Dutch ancestors’ staged “kidnapping” in order to elope, so they could cross the racial divide and marry. He had arrived from the Netherlands swarthy, whereas, she had not. Scandalous. 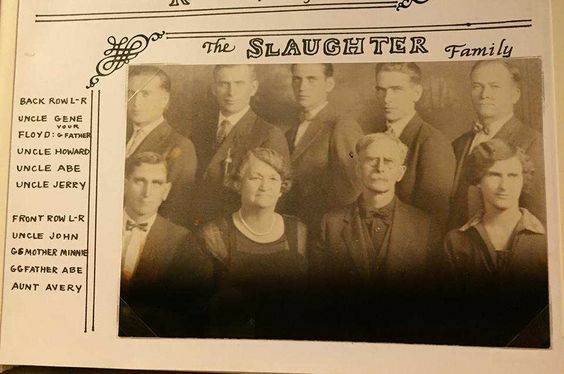 They produced eleven children. I memorialized these people. I looked up to them. I wanted to be like them. My eyes are blue. As a child my hair was blonde, yet I grew up surrounded by people of black hair and coppery skin. I thought everyone’s elderly relatives looked like this. My father wears his Black Dutch grandfather’s genes. I always wondered why my hair wasn’t also shiny and black. I still remember the moment when it dawned on me that not everyone had been blessed with a similar family heritage. In my mind, this is one of the greatest gifts of being an American. My ancestors crossed racial barriers because of love. They didn’t care one whit about skin color. They intermarried. We are a melting pot. But actually, we embody Eden. We descend from Adam and Eve, two parents, one family. As we intermarry, humanity begins to appear as we did originally, as God created us, rather than divided as we were after Babel when humanity grew tribal, separating by language and family. A few years ago, National Geographic completed a photomontage of ethnically mixed faces, the future appearance of humanity. It is beautiful. We return to Eden. This is what I recreated in my first two novels, Fallen and Refuge. I imagined the genetic mix that had to be present within Adam and Eve, wrote them thus, and then wrote their children with this varied mix of genetic possibilities. I had an eye on Mesopotamian history, and the creativity we find rampant there and in the opening chapters of Genesis. When mankind cooperates and there is no racial divide, great things are accomplished. 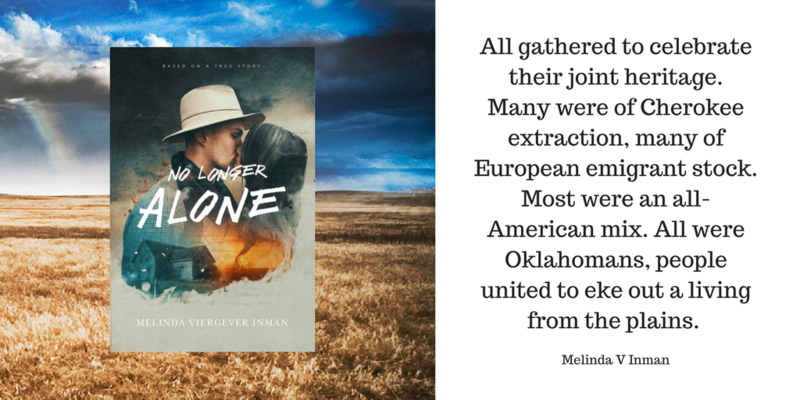 This week I published No Longer Alone, the fictional tale of my great-grandparents’ courtship and early marriage in Oklahoma. This story portrays the challenges they faced as they crossed racial lines to marry in a time when Hollywood had produced “Birth of a Nation,” an equal opportunity offender against Native Americans and African Americans. People of copper and black skin tone are vilified throughout. Every fictional story I’ve written so far has at its core my keen awareness of our unified human ancestry. Our society may never get past this ridiculous racial divide, but the church must. Jesus modeled it. He tramped all over ethnically mixed lands during his ministry. He traveled into villages outside Jewish society’s parameters, and he inspired some of the most radical statements on race in human history. “Here there is not Greek and Jew, circumcised and uncircumcised, barbarian, Scythian, slave, free; but Christ is all, and in all. Put on then, as God’s chosen ones, holy and beloved, compassionate hearts, kindness, humility, meekness, and patience, bearing with one another and, if one has a complaint against another, forgiving each other; as the Lord has forgiven you, so you also must forgive. And above all these put on love, which binds everything together in perfect harmony” (Colossians 3:11-14 ESV). Love is the solution. In Christ, we have the power of the Holy Spirit to live this out. Believers must set the standard of forgiveness, reconciliation, and perfect harmony. I carry the reality of this possibility in my DNA. The members of my family who married across racial lines were all followers of Christ. They married other believers, the core stipulation of significance for a Christian when choosing a marriage partner. They were yoked equally, regardless of skin tone. They put love into action. We must follow in their steps, as they modeled Christ-like love. A version of this post first appeared on The Crossover Alliance. Great article, very beautifully expressed, Melinda! Thanks!